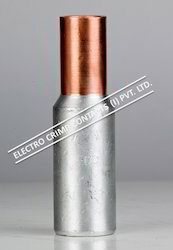 Prominent & Leading Manufacturer from Nashik, we offer bi metal inline connectors, bi metal tubular connectors and bimetallic connector. We are among the distinguished names in the industry, making available Bi Metal Inline Connectors for our priceless customers. The offered connectors are precisely designed by our experts in strict compliance with industry standards. 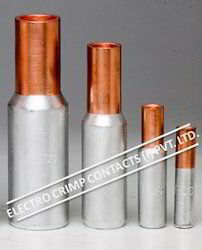 High grade materials are procured from reputed vendors for manufacturing these metal connectors. These products are regarded for their optimum finish and excellent resistance properties. We are engaged in offering high-quality Bi Metal Tubular Connectors to our valued customers. Over the years, we have gained expertise in manufacturing Bi-metal Tubular Connectors that are devoid of any manufacturing defect. These cost-effective and defect-free products are provided to our customers at market leading prices. Looking for Bi Metal Inline Connectors ?